Yangshuo. The last word, promise. Just to tidy up a few loose ends, I thought I’d finish off Yangshuo with some random pics from our time spent in this fascinating place. Of all the places we visited in China, I really would love to come back to this region. So, here are some wrap up shots. 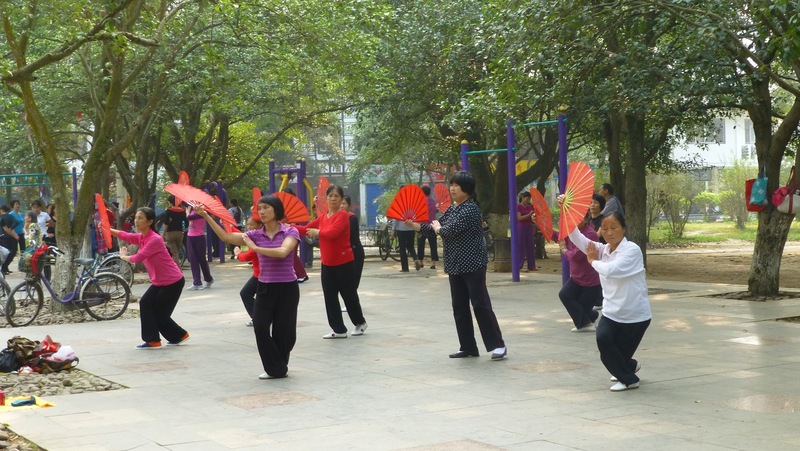 Many locals hang out in the very lovely Yangshuo Park with their friends, to play cards, practice tai chi and play a strange kind of bowls. 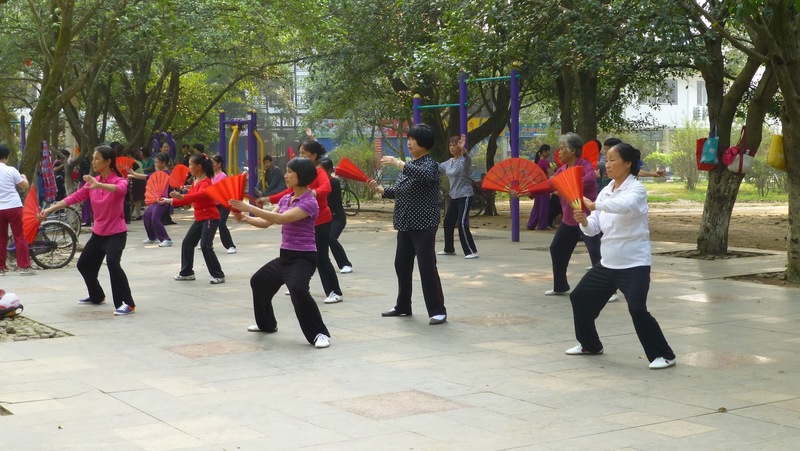 The women doing the fan dance were so graceful and focused. Well that’s it from Yangshuo. There’s so much more to say about this place but it’s now time to move on. Next stop Chengdu and the Pandas!